It is said that Tidal is the world’s first music website that offers 48.5 million tracks and 175, 000 MVs with High Fidelity sound quality for music fans. However, for them, the problem that hassles them the most is that they have no idea how to download music from Tidal. Can I download music from Tidal? Of course you can. Here I would like to introduce three efficient ways to download Tidal music. 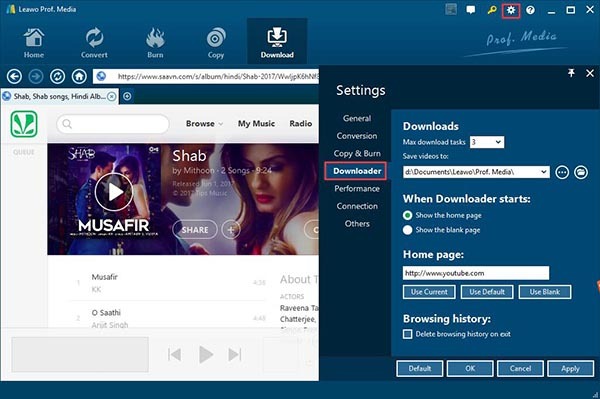 Leawo Video Downloader enables users to download music and videos from websites like YouTube, Tidal, Facebook, Dailymotion, iFilm, etc. 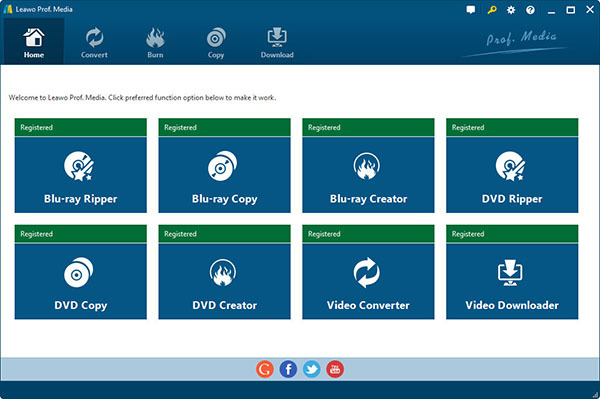 With a few clicks, you can quickly download what you want. 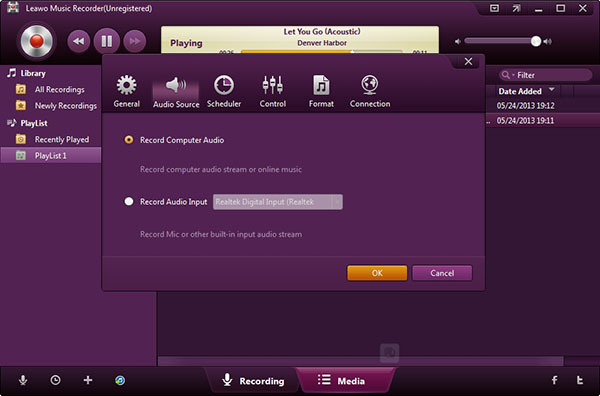 The Tidal music downloader has an online video player which allows you to play music or video directly on the software. Let’s see how to download music from Tidal with Leawo Video Downloader. 1. 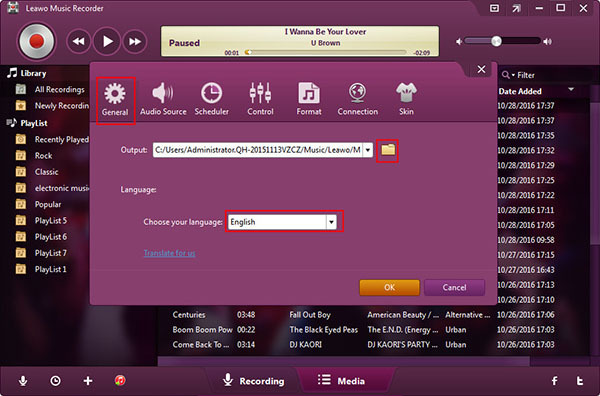 Launch the software and you can click “Video Downloader” on the screen or “Download” at the top to enter the interface of Leawo Video Downloader. 2. Click the gear icon at top right corner and go to “Downloader” to choose target output directory. 3. Copy the link of Tidal music you want to download into the browser box. The music will show on the interface. On the right side of the interface, you can see a green arrow. Tap on it, then you can see downloadable music sources with detailed information like duration, resolution, size and so on. 4. Tap on the download icon next to music source and the software will start to download Tidal music. You can go to “Downloading” to check the process. After it is downloaded, you can listen to it on the “Downloaded” panel. In this way, you finish to make Tidal music download. Leawo Music Recorder is a powerful Tidal music downloader that can download music in different formats like WAV, FLAC, MP3, OGG, etc. It can also save music in the format of WAV and MP3. Besides, it supports to download music from microphone, local disk or online websites like Tidal, YouTube, Spotif and so forth. The Tidal music downloader is embedded with Auto-filter tool to automatically filter ads in the recordings and music tag editor to allow users to automatically edit music tags like title, genre, year, etc. Now let’s learn how to download music from Tidal step by step. 1. 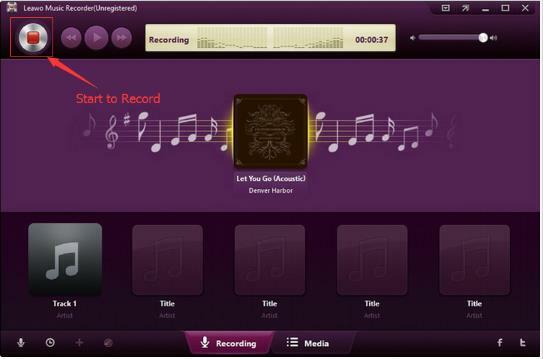 Open the software and click a little microphone icon in lower left corner to enter the panel of “Audio Source”. Choose “Record Computer Audio” on the interface. 2. Go to “General” at the top of Settings panel to choose target output directory. You can also change language on “General” panel. 3. Now head to “Format” to choose MP3 or WAV as the output format. 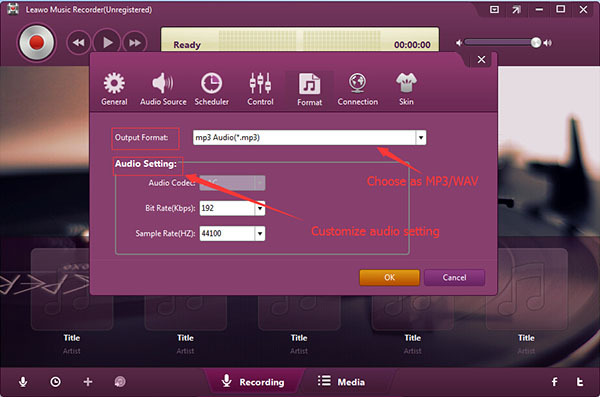 You can also adjust bit rate and sample rate to enhance sound quality. 4. You can start to download music Tidal. Prepare Tidal music first, then tap on the red recording buttons to start to download Tidal music. After that, play Tidal music you want to download. When it finishes, press the button again to stop. 5. After you download music from Tidal, you can go to media panel to locate the music and right click it to choose “Edit Music Tags” to add music tags like song title, genre, year, etc. 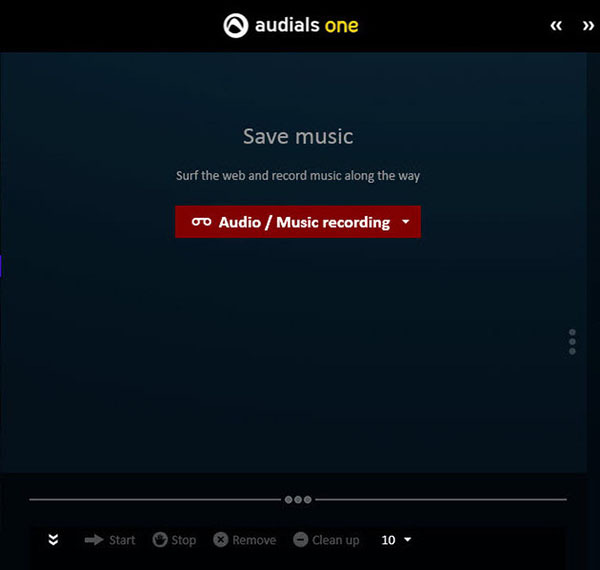 As for how to download music from Tidal, Audials also provides a professional solution. It can help you find your favorite songs by your favorite music singers in an easy way. 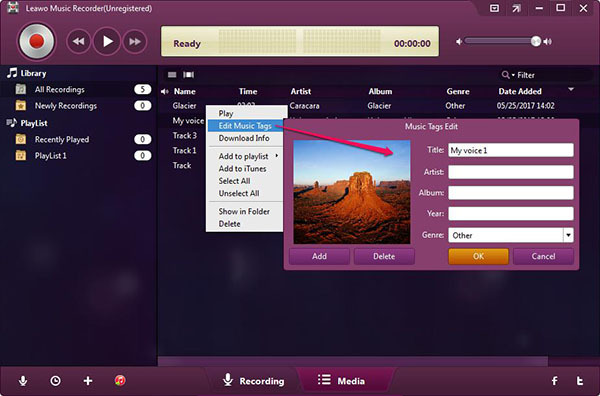 Furthermore, it supports to record music in the popular MP3 format. The following tutorial will guide you how to make Tidal music download with this Tidal music downloader. 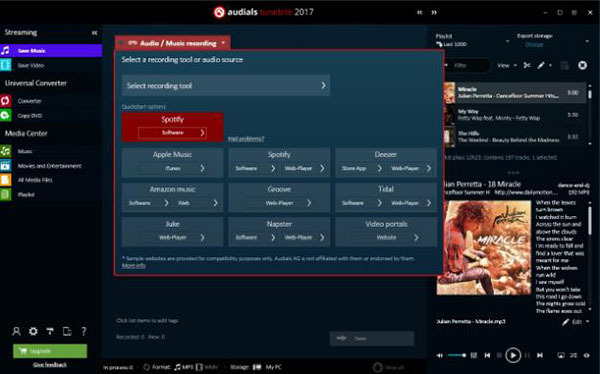 Open the software after downloading it and then go to “Save Music” under the section of “Streaming”. Choose e.g. MP3 as the output format from “Format” at the bottom of the interface. Tap on “Audio/Music Recording” in the drop-down box and choose Tidal. After that, play Tidal music you want to download there. You can go to “Save music” to check song you have been played on Audials. Now your Tidal music is already downloaded and automatically saved as a MP3 file.